I am a huge chocolate fan and the rest of my family love chocolate too. When Miss 3 saw that I had chocolates for review her face quickly lit up and she was quick to ask to try one. 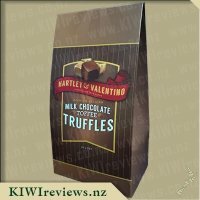 These were the second flavour of truffles in this range from Hartley & Valentino that I have tried and I can easily say that these are a firm favourite of mine, when it comes to a mixture of chocolate and toffee, there&apos;s nothing that can really go wrong! 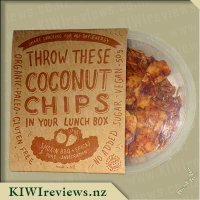 Upon opening the box of these delightful little morsels I found that these were each individually wrapped in a beautiful golden brown coloured wrapper, they had serated edges which made them easy to tear open, even my 3 Year old could get these open without any issues! 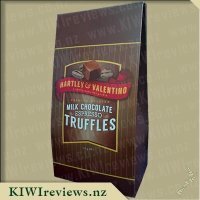 Each box contains 10 truffles, which makes them just over $1 each, this may seem pricey, however the quality of these is amazing and you must take into consideration that these have been imported into New Zealand also. The box is made from a strong cardboard and it stands upright without any issues, it also has a slot in the back of the box so that you can slot it shut once it has been opened to stop any truffles (if there are any left) from falling out. I fell in love with these truffles from my very first bite, a rich and creamy milk chocolate truffle filling with yummy little crunchy toffee pieces throughout, all surrounded by a delicious belgian chocolate outer shell. The chocolate spelt out quality and the toffee pieces were nice and tiny but still provided the perfect little crunch and taste, they weren&apos;t chewy nor were they hard as rocks they were just perfect. The truffles were lovely and rich and you don&apos;t need more than one at a time, so a box does really last a while. I offered 1 each to my partner, 3 year old and mother in law and they all loved them, they loved the creamy texture and that these were made from milk chocolate rather than dark. With just a few truffles left I decided to chop them up into small pieces and mix them through some softened vanilla ice cream, this tasted great and took the ice cream up to a new level especially when topped with a caramel sauce. 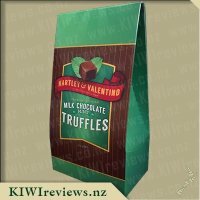 These are amazing truffles which I have already purchased from the International Foods shop in Hamilton along with lots of other yummy treats I came across which i&apos;d first tried while in USA some years back. 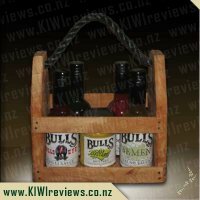 These are to go into a gift basket for Christmas for my parents, if they last that long, a great product which id recommend. I don&apos;t usually treat myself to high end chocolates due to the prices and at $12 for a package that has ten pieces in it, then these are a little over a dollar each. The box these come in is nice and solid and has a little slot for closing the box up after each raid, and being nice and sturdy means that the box has held up to multiple opening and closing. The back has a nice little story about the history of this product and the standard list of ingredients. Pulling one out, these are each a perfect serving size, my kids promptly ask one and given the serving size but also how rich I knew these would be, they were happy to have one each as their dessert. My eldest did not like the toffee pieces that were mixed through the truffle but that didn&apos;t make a difference to my seven and five year olds who broth wolfed their truffle down and begged for more. My mum had one and thought it was a good even mix, though a little too sweet. I found that I had to take my time eating this, so it lasted a very good length of time, but I loved the toffee bits inside. 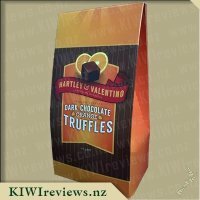 There is a nice little story on the packaging about Theodore Hartley and Patrice Valentino which gives you some indication about the love and passion that has gone into making these gorgeous, premium Belgian truffles. Each truffle is foil wrapped to ensure freshness but also premium status. Inside the 87% smooth milk chocolate truffle are chips of crunchy toffee (9%) . The combination is delightful and for any chocolate connoisseur, you know you are tasting a premium truffle. My husband is not a huge fan of chocolate but even he was impressed with the quality and noted how smooth the chocolate was. These are premium chocolates and are price accordingly so would make fantastic gifts for loved ones. 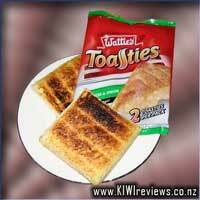 If you were feeling decadent, these would also be lovely to serve to guests after dinner. Hartley & Valentino Premium Belgian Milk Chocolates come in a variety of flavours and I&apos;m going to make it my mission to sample them all! I do like toffee, but I can&apos;t say I am a huge fan of it, not because of anything wrong with it... after a short while I find it too sickly sweet to eat any more, and that feeling comes on so quickly that I often find myself past that point before I realise it. 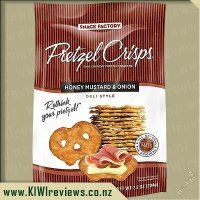 That said, these made it very easy to self-regulate - by being individually wrapped, I couldn&apos;t &apos;snack by autopilot&apos; as I sometimes do if I am trialling snack treats while working or watching a movie. I had to focus on unwrapping them, so was easily able to pay attention to how I was feeling before eating another one. These "truffles" are far from traditional. Where the regular ones are balls of ingredients, these are more like small blocks, about 25-30mm a side and maybe 15mm thick. Plenty of bite in them for anyone - you can have them whole, or bite them down over three large nibbles. Take tour pick, no matter how you have them, they are tasty indeed. I did find the toffee in them a little tough my my sensitive teeth, but someone without that issue would have no trouble with them... but do not store them in the fridge unless you want a visit to the dentist in the morning, because they get really, really hard... as does most toffee, so it&apos;s not a fault in the product. This is just a warning, because it&apos;s a lot of toffee in every truffle! 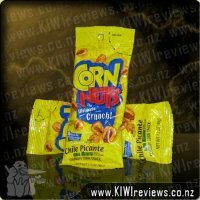 Overall, while I liked them, they are something I would only really buy for others, as I think the other flavours in the range would appeal to me more. When you love chocolate as much as I do, you jump at the chance to review such a quality treat. The cardboard outer packaging presents well and is well labelled with a brief company history / charming love story on the back. The packaging has a well purposed tab on the reverse allowing for closing of the package. Inside, the truffles are individually packaged, with the ingredients listed on each individual packet. The individual packages are easy to open and are a foil type to better preserve the truffle. Once opened a decadent morsel is before your eyes, a seemingly perfect pillow of chocolate with a smooth centre to be uncovered. The texture within is, as previously mentioned, smooth and flecked with chips of toffee. The toffee chips within the truffle are a crunchy texture and offer small bursts of an accent flavour. It is clear to any chocolate lover when biting into these decadent truffles that they have been crafted with premium ingredients by someone that has a true passion for chocolate. 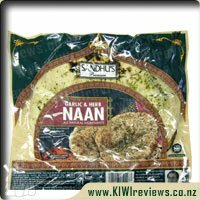 After viewing the International Foods website I was delighted to find that there are five flavours available in this range to buy. 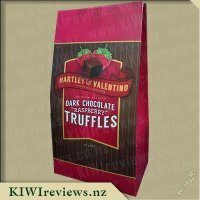 The quality of these truffles is reflected in the price, however they are well worth trying and would make an excellent addition to Christmas presents for later this year I&apos;d love to see a white chocolate range added! 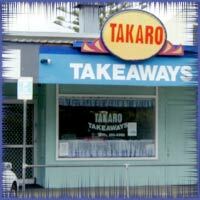 Do your kids start raiding the pantry cupboards the moment they get home from kindy or school? Now you can surprise them with a new treat. M&apos;s Bear Flavour Biscuits offer a convenient and tasty treat with a choice of three flavours. There are 20 individual foil packs of biscuits per box - ensuring the biscuit&apos;s freshness and flavour. A great option for lunches or treats on the go!